I was asked a few days ago whether I knew anything of Kirby's Mineral Water Manufacturers in Ipswich, I didn’t, so I thought I’d try to dig up some information on this local business. I wasn’t really aware that the late Victorians drank anything other than tea, coffee, milk, alcohol (especially beer) and ‘tap’ water. 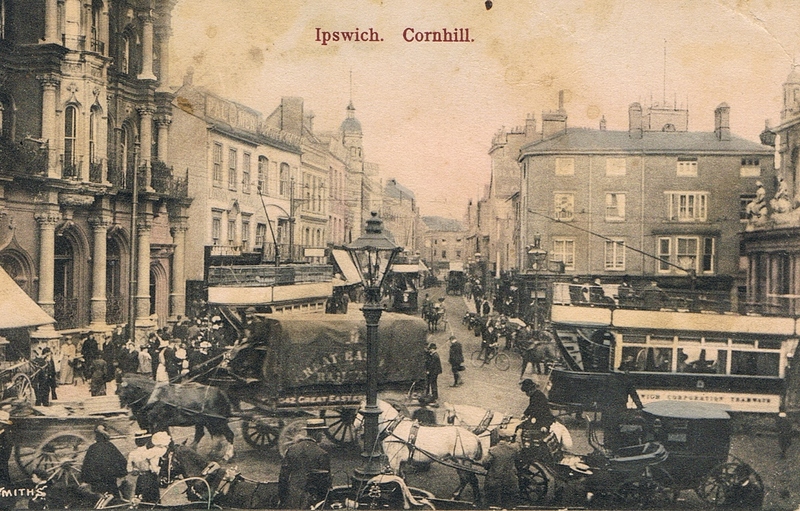 There were a few fresh water springs in and around the centre of Ipswich, the most well-known was Holy Wells. 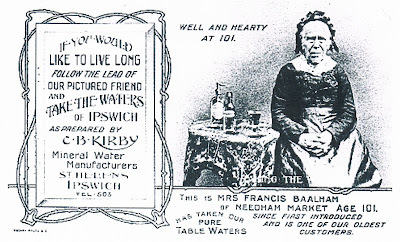 The Cobbold family had these spring waters sent downstream to ship to their brewery in Harwich, then later to supply their brewery at Cliff Quay. However, by the time these spring waters reached the slum areas occupied by the poorest families, it was often contaminated due to poor hygiene and sanitary conditions. We’ve all heard that in the past almost everyone drank beer, and we assume that everyone (including the children) was walking round ‘three sheets to the wind’. However, that’s not quite true. The beer then was not as it is today. Although the process involved in making it was much the same (it was flavoured with plants and then fermented so the liquor could be drawn off and consumed) this beer was not as strong as we would like to believe and probably not as flavoursome. The process of fermenting was not to make alcohol but to make it safe to drink so it had a low alcohol content. In Ipswich, there is a saying that we had a beer house or tavern for every day of the year! While this is not absolutely true, there were very many and certainly far more than there are now. So when and where do botanical brew and mineral water fit in to Ipswich’s beer loving community? Charles and Alice Kirby were first seen in the 1901 census living at 107 and 109 Hervey Street, with their 7 month old son Robert. At this time Charles’ occupation was Botanical Brewer. I dangled a little man on Google Street Maps to see where these premises were. Numbers 107 and 109 are still joined and there is even a little archway through which they probably sent off their carts to deliver the brew. Botanical brew is a soft drink brewed using natural herbs and made by a boiling process rather than fermentation. These would be drinks like dandelion and burdock, barley water, lemonade and ginger beer. The production and distribution of these drinks in the late nineteenth century can be regarded as the beginning of the soft drinks industry and many producers switched from manufacturing mineral water to making these herbal drinks. However, the Kirby family did it the other way round. Mineral water originated from the health spas around Europe, they thought that the waters had special properties and people went to these spas to take the waters and improve their health. Mineral water suppliers at The Great Exhibition of 1851 changed this by introducing bottled water. Instead of having to make a costly visit to take the waters, you could have the waters brought to you. Towards the end of the nineteenth century, mineral water and non-alcoholic drinks became less about their health benefits and more about taste and quenching a thirst. It was about this time too that these sorts of drinks became more accessible to the lower classes. The Kirby family, made the right choice. 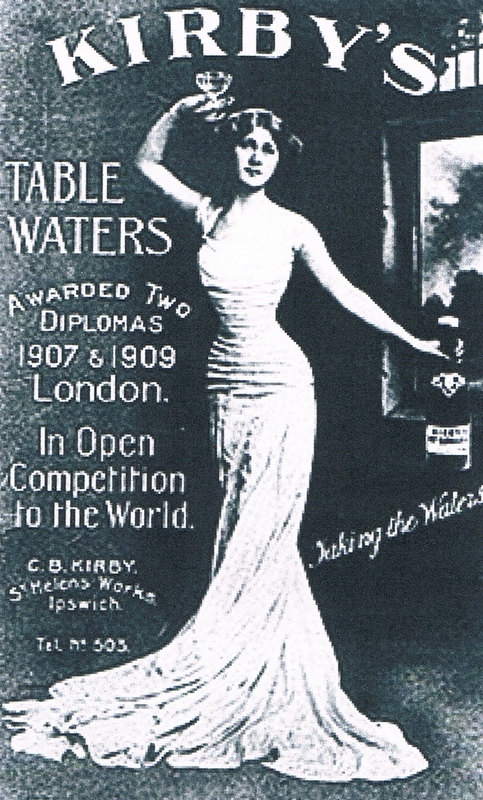 An advertisement from the early 20th century confirming the benefits of drinking Kirby's Mineral Water. In the 1911 census, Charles and Alice had moved from their property in Hervey Street into a prime site in St Helen’s, between Majors Corner and the County public house. They now had two children; Robert aged 10 and Joy aged 6. They also had a servant which is further evidence of their achievements. 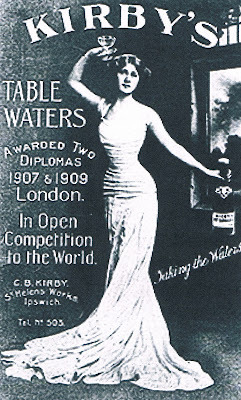 Their decision to go from botanical brew to mineral water proved to be very successful and lucrative not only in Ipswich, but much further afield as we can see from the advertisements. 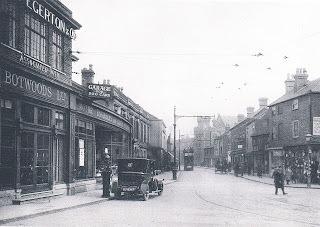 Majors Corner, looking down St Helen's Street. Kirby's Mineral Water Manufacturers would have been on the left towards The County public house. Kirby Mineral Water Manufacturers, I found in my trade directories, traded up until, and possibly well after, 1938. Hi, Sorry for the delay but I have finally found out about Talbot Mineral Water. Please see my blog dated 18 September 2014. Very interesting. I also found an intact kirby ipswich bottle in rendlesham forest. It even had it's top screwed in. 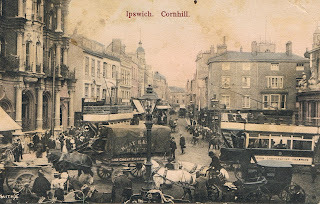 I went to school near Ipswich in the 1960s. While there I bought a stoneware jug, marked Minister Bros. Herb Beer Brewers Ipswich 1929. The jug has travelled around with me since then, so for more than fifty years. Can you provide any information about the Minister Brothers, please?